How about something slightly different while you’re in Cardiff for a weekend? 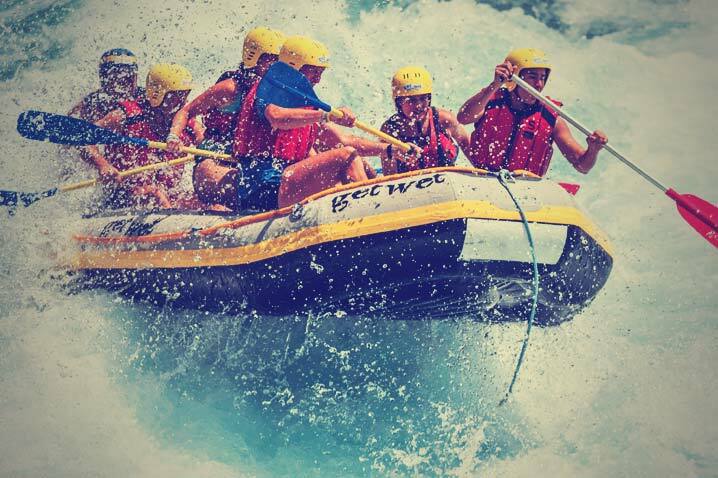 Thrills, spills and plenty of laughs will be the order of the day with this white water rafting experience. With six people on each raft you’ll descend the rapids at what seems like breakneck speed as the swirling waters toss you around like a rag doll. It’s a fantastic adrenalin rush that will leave you exhausted but wanting more. Each session last two hours and can accommodate a maximum of 18 people. And of course you’ll receive expert coaching and be provided with all the specialist equipment you need. So come along and give it a go; you’ll be glad you did.